Ever since my friend, Kristina, and I discovered the Kraft Recipes website we have been fans. What I love about Kraft Recipes is that they are easy, don't usually involve a whole lot of ingredients, and delicious! 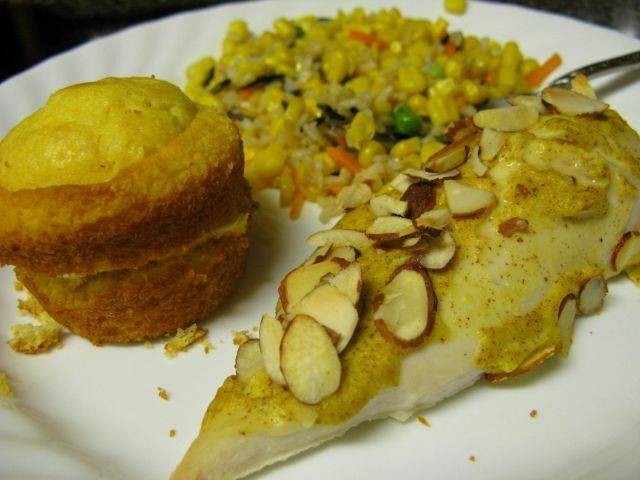 They have videos, showing you step by step instructions for many of the recipes, and a "Healthy Living" section filled with recipes that are more figure friendly. 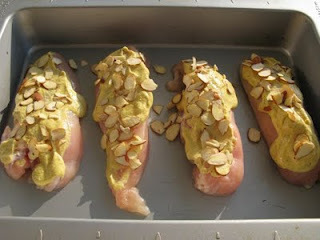 For the Kraft Foods Almond Chicken Dijon Recipe - CLICK HERE! I used sliced almonds and it still came out great. This is before I stuck it in the oven.